What is Plasmolifting Centrifuge XC-2000? The Plasmolifting treatment technique involves using the Plasmolifting tubes, the centrifuge, and the thermostat. It is essential that all three components are used appropriately to produce the highest quality Plasmogel that is used in the patient’s skin for its aesthetic effects. This increases the likelihood of treatment success and reduces the risks of complications. The Plasmolifting Centrifuge XC-2000 is one of the central pieces to the treatment technique. It offers the correct amount of centrifugal force required to separate the platelet-rich plasma in the test tube through the separation gel. It can reliably produce rotations at a constant speed and can fit two sizes of tubes. The holders in this machine can store six 10ml tubes and six 15ml tubes. It is typically used at 4000 rotations per minute (rpm) for five minutes to obtain the plasma needed for the Plasmolifting treatment. It also has an auto shut off feature when the lid is raised. It is also fitted with more modern and industrialized design choices such as the quiet and smooth spinning that enables more peaceful operation. Its memory can recall that last programmed setting. Plasmolifting Centrifuge XC-2000 is formulated to hold a capacity of six tubes of two different sized tubes (10ml and 15ml). The tube contents include sodium citrate and thixotropic gel. The centrifugal action helps separate the blood components of the patient. At the end of the process, five layers will be there. The platelet-rich plasma (PRP) layer is extracted to be further processed in the thermostat to become Plasmogel suitable for injection into the skin. Plasmolifting Centrifuge XC-2000 is manufactured by Industrie Biomediche Farmaceutiche, which is based in Scafati, Italy. Plasmolifting Centrifuge XC-2000 originates from Italy. There are no known side effects associated with the centrifugal action of the Plasmolifting Centrifuge XC-2000. However, the Plasmogel that is produced from the entire process can cause a few transient side effects when injected into the skin. It is common for redness, swelling, pain and bruising to occur in most patients. These effects last for a short while and recovers spontaneously. Other side effects such as nodules and beading are rare. 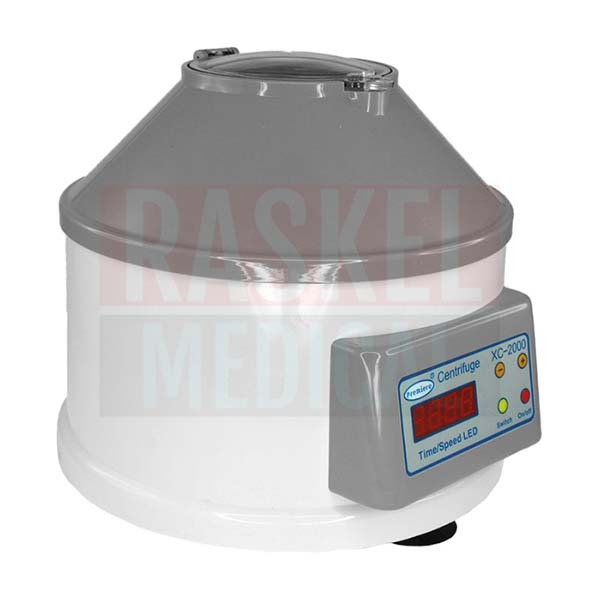 The centrifugal action by Plasmolifting Centrifuge XC 2000 is suitable for blood contents coming from any skin type (i.e. all Fitzpatrick skin types). Plasmolifting Centrifuge XC-2000 does not contain any hormones or any carcinogenic substances. It is crucial that Plasmolifting Centrifuge XC-2000 is not exposed to moisture as fire and shock can occur. There are two models available requiring different power sources; the AC 110 V 60 Hz version that is available in the U.S. and Canada, and the 220V 50Hz version. There are no user-serviceable parts inside. If found to be faulty, please refer to a qualified service personnel. The density of the separated sample must not exceed 1.2g/cm3 under the maximum speed. The maximum speed of the rotor must be reduced if the density exceeds 1.2g/cm3. Keep an area of 12 inches around the centrifuge clear when operating it and ensure that nothing is blocking the vents. There are numerous Plasmolifting centrifuges available in the market. All of them work similarly by spinning the test tubes at a specified rate and duration to separate the blood contents of the patient. They differ mainly by their outlook and design, capacity, weight, power requirements, price, construction material and convenience features such as touch screen operation and memory function that remembers the last operation settings. One of the other centrifuges is the Plasmolifting XC-2415, which has a capacity of 12 tubes of 15ml and a more compact design. Once blood from the patient has been taken and placed into the Plasmolifting test tube, open the lid of the centrifuge (the unit is designed to stop operation when the lid is open). Place the supplied plastic tube holder shells in the centrifuge holes. There are two sizes in the holder; 10ml and 15ml. Choose the correct size for your tubes. To get a smooth-running centrifuge that can produce good results, the centrifuge tubes that you want to spin must always be balanced out by other specimen tubes of the same weight. It must be inserted at even numbers on opposite sides of the centrifuge. There should be approximately the same amount of fluid in each tube. Once balanced, push the “switch” button on the one touch switch panel to get to the time function. You can push either the + or – button to adjust the timing. It can be set from one minute to 60 minutes. Push the “switch” button again to get to the speed function. Adjust through the + or – signs again to adjust the speed setting. The unit can be adjusted from 1000 to 4000rpm in 500rpm increments. Push the start button once you are done with the settings. For added convenience, the memory function of the unit will remember this setting for future usage. In case the tube is too short to be held by the tube holder shell, you can opt to use the soft foam as provided by the manufacturer to help secure the fit better. You must ensure that the specimen tubes are fitted snugly into the holder before starting the centrifuge. The Plasmolifting Centrifuge XC-2000 operates at 80W of power and requires 220V 50Hz of voltage (non-U.S. and Canada version). The Plasmolifting Centrifuge XC-2000 can carry a maximum of six 10ml test tubes and has a maximum relative centrifugal force of 1790g. Its settings can be adjusted to accommodate the purpose of use; its speed can be set from 1000 to 4000rpm at 500rpm increments, and its duration can be set from one to 60 minutes. It takes about five minutes at 4000rpm to produce the necessary prerequisite ingredient for Plasmogel. Once injected, the Plasmogel can last in the tissue between six months to 2 years, with its exact duration depending on the site of treatment and the patient’s own metabolism. Please keep both inside and outside of the unit clean and dry. Use a dustcover when not in use. You may store it at room temperature. It is recommended that it is kept away from direct sunlight.